ABLE savings accounts for the disabled doesn't affect SSDI. ABLE accounts – A tax-free savings account for some receiving SSDI that does not affect their benefits. The Social Security Administration has established a means for some recipients of disability benefits to save up to 14,000 a year tax free that will not change their disability status. The SSA has established a means for some recipients of disability benefits to save up to 14,000 a year tax free that will not change their disability status. In December 2014 the Achieving a Better Life Experience Act was signed into law. ABLE accounts allow people with disabilities to save for the future. A person with a qualifying disability can save up to $14,000 annually without affecting their Medical Assistance (MA) or Social Security benefits. Even friends and family can contribute to the account, and interest earned on an ABLE account grows tax free. Individuals are eligible for an ABLE account if they have a disability that began prior to age 26 and meets Social Security Administration standards, or SSA standards for blindness. You are eligible even if you already receive benefits from programs using the same SSA standards, such as Supplemental Security Income (SSI), Social Security Disability Insurance (SSDI), Disabled Adult Child (DAC), Medical Assistance (MA), or Medical Assistance for Employed Persons with Disabilities (MA-EPD). It is your responsibility to keep records of how you spend your ABLE account money. In the event you are audited by the Internal Revenue Service, you will need to show that an expense qualifies, so keep all your receipts. If money is withdrawn from your ABLE account and not used for a qualified disability expense, you may owe federal income tax on that amount, in addition to a 10% penalty. It could also impact any other benefits you are receiving. 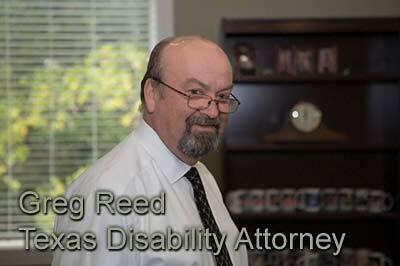 You can open an ABLE account in any state such as Texas that has an ABLE program. Usually, it is not necessary to live in a participating state to open an ABLE account, but you may only open one ABLE account, so it’s important to shop around and see which state offers the best ABLE account for you before deciding. You are not required to stay in a plan if you find you are unsatisfied with it and may switch your account from one state program to another. Setting up an ABLE account is relatively easy and inexpensive. The account will be set up in your name, the designated beneficiary. 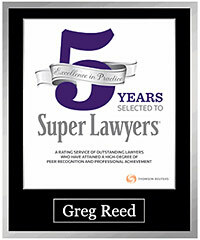 An account can be set up by you, a parent or guardian, or a person with a valid power of attorney. You do not need to use a financial advisor or lawyer. If you can no longer work due to accident or illness contact a Social Security disability lawyer at 512-454-4000 for a free consultation and see if you qualify for disability benefits. If you have been denied disability don’t give up! Each state sets up its own ABLE programs, posting program details and enrollment information online. A minimum deposit is required to open an account of $25 to $50, typically, but this amount varies by state. There may also be account maintenance fees. Several different investment strategies are usually offered, with options that include savings accounts and mutual fund accounts. You may want to get help from a financial advisor or accountant as you compare different ABLE programs. 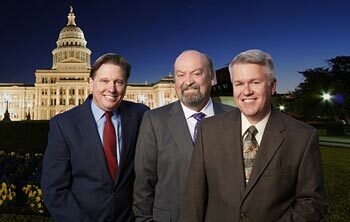 For information on ABLE accounts in Texas, see www.texasable.org. Once the account is set up, you may deposit up to $14,000 annually. This is the combined total of your contributions and any money you receive from friends and family. After $14,000 is deposited, you cannot contribute any more funds, even if money is withdrawn. You will need to wait until the following year to make further deposits. Deposits can be made by paper check, electronic fund transfer, payroll deduction, or an automatic investment plan. Depending on the type of account, you may have to wait 5-10 days before withdrawing funds after a deposit is made. When you die, any money left in the account will be used to pay back the MA program for any benefits you received since you opened your ABLE account because the account is in your name. After that, funds remaining in the account have to go through probate, which may be a long process, before it goes to your designated heirs. This may cause problems for some beneficiaries, so you may want to consider establishing a third-party Special Needs Trust. This type of trust may be set up by a parent or relative to supplement the needs of the disabled person. A trustee is appointed and authorized to pay expenses not covered by government benefits that enhance a disabled person’s quality of life. For example, the trustee could pay for cable television or other entertainment, but not basic living expenses like rent or housing. The assets of the trust are not counted in determining whether the beneficiary qualifies for a government program because the trustee is not legally obligated to distribute funds to the beneficiary. Money in a trust isn’t used to repay MA benefits, there are no contribution limits, and it doesn’t go through probate. You can have both an ABLE account and a Special Needs Trust. 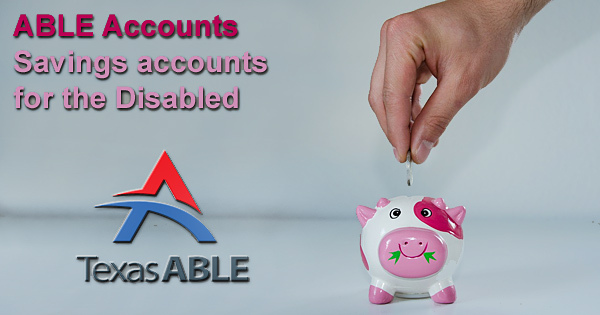 ABLE accounts are valuable financial tools for disabled people. You may contribute $14,000 per year and no more. All funds withdrawn must be spent on qualified disability expenses. If the money is used for expenses which do not qualify, or you place those funds in a different account, you will be taxed on that amount. If you receive SSI benefits and the balance in your ABLE account rises above $100,000, your SSI benefits will stop. SSI benefits will begin again once the balance goes below $100,000.